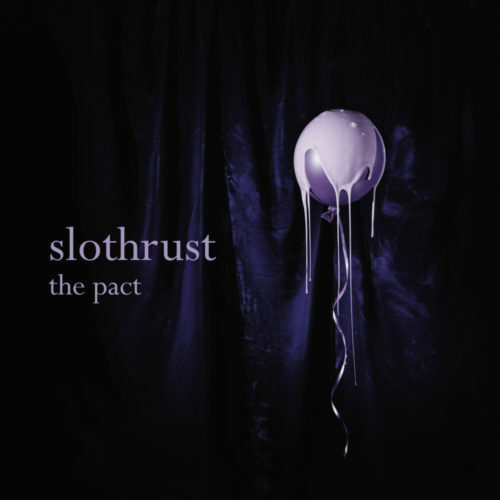 On their fourth LP, The Pact, Slothrust released what very may well be their best record. Led by human force of nature, vocalist and guitarist Leah Wellbaum, and an incomparable rhythm section of bassist Kyle Bann and drummer Will Gorin, Slothrust created their most diverse album to date. Right from the first track, “Double Down”, anyone familiar with the band will notice something is different. It has some electronic drums and bass, and the additions of both take the song into another dimension. “Peach” has a sound reminiscent of the early Slothrust records. “Planetarium” is a frenetically paced track with Gorin and Bann proving once again why there is no more solid bassist-drummer duo in rock music. Everyone gets some time to shine, too. There are bass solos, drum solos, guitar solos, and even a nonsensical vocal solo that rules so hard. After “Planetarium”, however, the album takes an abrupt change of direction with “Walk Away”. It is a flat out stunner of a track, and it’s heart wrenching. It’s the first of a few slower paced tracks that sound amazing, includng “The Haunting”, “New Red Pants”, “Some Kind of Cowgirl”, and “On My Mind”. Each of those songs are truly amazing. “On My Mind” has this layer of saxophone that takes it out of this world. “Some Kind of Cowgirl” has an ending that is breathtaking. With The Pact, Slothrust has shattered classification once again. They’re more than trio of gritty jazz students who happen to like grunge. They’ve become way more than that. Lots of different styles of rock on display here but somehow it’s cohesive… A great album. From start to finish. The Pact is out now on Dangerbird Records.